At the 1959 World Health Assembly, Soviet scientist Victor Zhdanov put forth a radical idea: a global campaign to eradicate smallpox, a disease that first surfaced more than 10,000 years ago and which is estimated to have caused 300–500 million deaths during the 20th century alone. Local and multinational campaigns had shown great promise in defeating the disease across North America and Europe, as well as parts of South America, but a global campaign was an audacious suggestion. Nothing of the sort had ever been attempted. Yet the Soviet Union and the United States, two of the world’s most populous countries, had successfully rid their nations of smallpox. If this was possible, why not take on the world? In The United States, the Johnson administration recognized the enormous potential of Zhdanov’s idea, and assigned D.A. Henderson from the Centers for Disease Control to lead the U.S. engagement with the World Health Organization (WHO) and the government of the U.S.S.R. With the Cold War in full swing, it took nearly eight years from the WHO’s acceptance of Dr. Zhdanov’s resolution to begin coordinated, strategic action. The program formally launched in January 1967, tackling a disease that was still killing 1.5 to 2 million people each year. Just 10 years later, in 1977, the last case of smallpox was recorded. In 1980, the World Health Assembly announced the eradication of the first disease in human history. In the example of the smallpox campaign, the WHO identified a specific scourge that presented a global threat. It had a critical tool to defeat it—the smallpox vaccine—and with some local and regional successes, it had proven out a model for eradication that had the potential to scale. The WHO then harnessed all of the necessary partners and their respective resources. Governments played a vital role, providing both access to local institutions and financing; approximately one-third of the cost of the program was borne by donor countries and two-thirds was paid by the governments of the endemic nations. At the grassroots level, social sector organizations raised awareness, readied communities for vaccination campaigns, and monitored progress and behavior change. Private sector partners played a critical role: they released the patents for medical devices (a specialized needle) as well as the rights for the freeze-drying technology used to preserve the vaccine. It was an enormously expensive undertaking for the time ($23 million per year in what was essentially risk capital). By 1980, partners across some 50 nations had contributed to the effort, investing nearly $300 million over 12 years. The Centers for Disease Control estimates that today, because there is no need to vaccinate against or treat the disease, the United States alone saves the total of its aggregate contributions every 26 days. The eradication of smallpox is an inspiring story of the collaboration, innovation, and dedication needed to make an audacious idea a reality. It was complex, it was expensive, it was difficult, and it was sometimes politically messy. And it changed the world as we know it. The smallpox campaign became the model for disease eradication efforts. In the 1980s, the global health community turned to guinea worm and polio; both diseases are now on the very cusp of eradication, with only 22 known cases of guinea worm today, and more than 99 percent reduction in polio incidence since 1988. While the smallpox campaign offers great inspiration, perhaps its most important lesson is that those who want to make a meaningful difference in improving the future of our planet must get focused. Identifying solvable problems, and driving resources toward their resolution, provides a clear pathway for action and impact. So often today, well-meaning efforts to address the world’s challenges result in a 100 drops in a million buckets. Those 100 drops may be individually meaningful, but they do not amount to systems change; they cannot tangibly solve problems. Campaigns focused on eradicating extreme poverty, improving education, and eliminating hunger present grand visions of a thriving world, but they lack problem definition. Chasing these grand visions necessitates slow and steady efforts and must celebrate incremental progress, leading to dispersed and diluted resources and, ultimately, minimal gains. Instead, pursuing a more limited set of solvable problems ensures efficient resource allocation and leads to sustainable systems change. It is possible to embrace these visions of prosperity, while still being utterly practical in defining core problems and seeking specific solutions. A present-day example arises in the challenge of global food security. Global Goal #2 promises, by 2030, to “end hunger, achieve food security and improved nutrition and promote sustainable agriculture,” surely all worthy objectives. The related targets narrow down the issue, yet are still extraordinarily expansive: end all forms of malnutrition, ensure sustainable food production systems, increase investment in rural infrastructure, and five other equally broad aims. Setting the stage this way provides too much room for interpretation and virtually ensures that resources are spread to thinly. Consider instead a specific problem that contributes to global hunger: post-harvest loss. One-third of all food produced on this planet is never consumed, while at the same time 1.2 billion people go to bed hungry or undernourished. Perfectly consumable food that either spoils or gets thrown away is enough to feed every hungry person in the world, with nearly 50 percent to spare. Two-thirds of unconsumed food is lost at the front of the food chain, between the field and point of sale. Post-harvest loss is the tomatoes that spoiled on the vine, or on the truck that broke down in transport to market. It is the mangoes that were grown but did not meet the standards of the mango juice processor, with no secondary market available to the grower. It is the cassava that ferments because of poor transportation networks, or spoils in markets that lack proper preservation techniques. In sub-Saharan Africa, 50 percent of all fruits and vegetables, 20 percent of all cereals, and 40 percent of roots and tubers are lost in substandard storage or transit, or left on the farm. Post-harvest loss is largely invisible, and yet it consumes extraordinary resources—in land, water, fertilizer, labor, and capital—to grow food that is never eaten. Even with so much documented waste and loss, over the past 30 years, roughly 95 percent of all spending on food security has focused on improving cultivation, enhancing productivity, and providing extension services to improve farmers’ capacity to grow and harvest more. If such high rates of post-harvest loss persist, increased production will only continue to be eroded by the underlying problem. Stemming the loss does touch on production in terms of the types, quality, and quantity of inputs, as well as the sequencing of planting and harvesting, but post-production interventions are vital. Affordable and locally appropriate storage solutions, reliable and efficient transportation, processing innovations, and demand-based market linkages can have an immediate and significant impact on loss reduction. The good news is there are some proven models, including those being tested under Rockefeller Foundation’s YieldWise program. These models are commercially viable and rely on mutually beneficial partnerships between the public, private, and social sectors. The public sector contributes to reduction of post-harvest loss through a variety of support measures, from infrastructure improvements to incentives for local processing to financing of aggregation hubs. 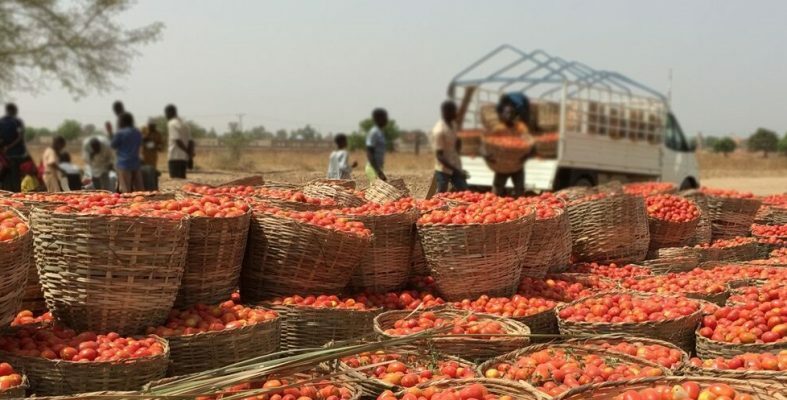 The private sector actors include processors committed to sourcing from local, small-holding famers, as well as the secondary markets (retailers, wholesalers, direct buyers), and support businesses (logistics, transportation, packaging). Social sector partners are valuable in their ability to build trust with farmers and communities, raise awareness of business opportunities, and facilitate capacity building and farmer aggregation activities. In 1959, there were myriad incurable diseases, but one was demonstrably preventable: smallpox. And because one person inspired a group of tenacious leaders from all sectors around the world not only with a clear vision, but an equally clear remedy, one of the world’s most virulent killers is dead. We can be that audacious again. We can increase the security of food and nutrition around the world by reducing post-harvest loss. It is a demonstrably solvable problem. The Global Goals call attention to many problems for which there are no current solutions. This is not one of them. All of the pieces are there. We need the collaboration, innovation and dedication to make another audacious idea a reality, and maybe more—the focus and collective internal fortitude to stick with one, sometimes tedious, problem until it is solved. It will be complex. It will be expensive. It will be difficult. It will sometimes be politically messy. And it will change the world as we know it.